Caffeine exposure during pregnancy: Maternal caffeine intake has repeatedly been linked to babies being born small for gestational age (SGA). SGA babies are known to be at increased risk for adverse neonatal outcomes. 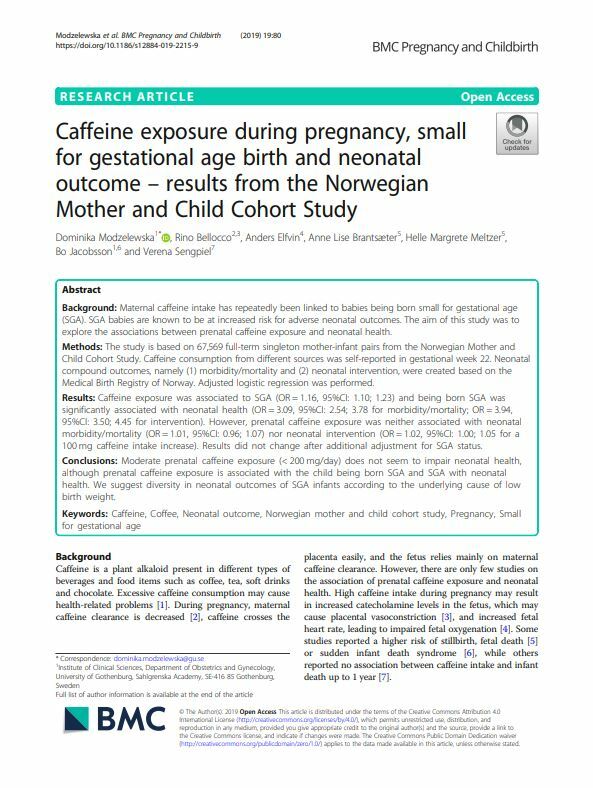 This study aims to explore the associations between prenatal caffeine exposure and neonatal health.